Wow! 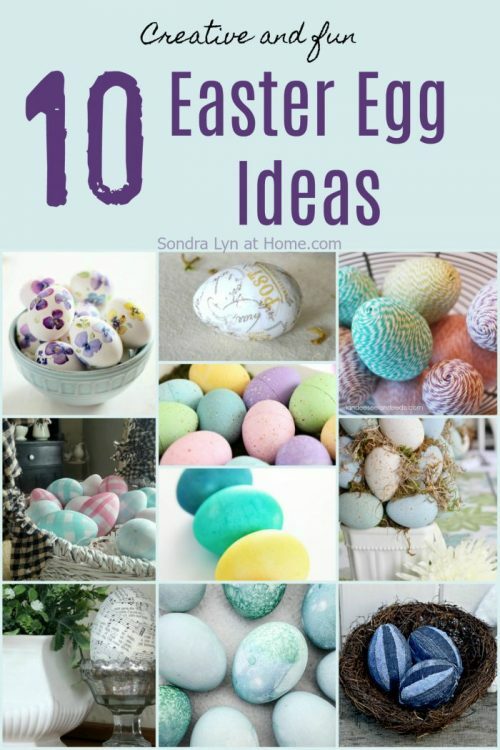 Easter is right round the corner. It’s such a great time of year – everything feels brand new again. Buds on trees; brighter, longer days; warmer temperatures; open-toed shoes! 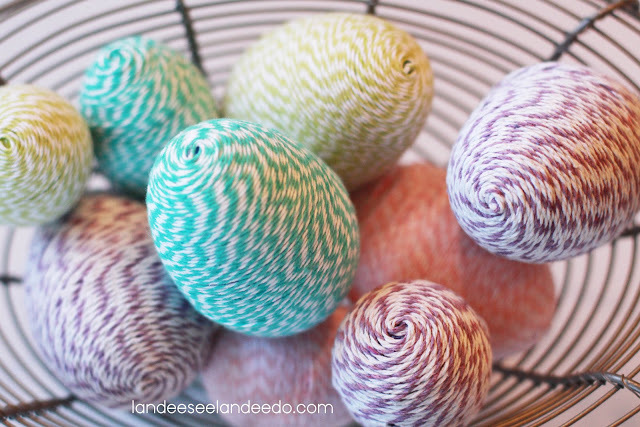 And time for some fun and creative Easter Eggs. 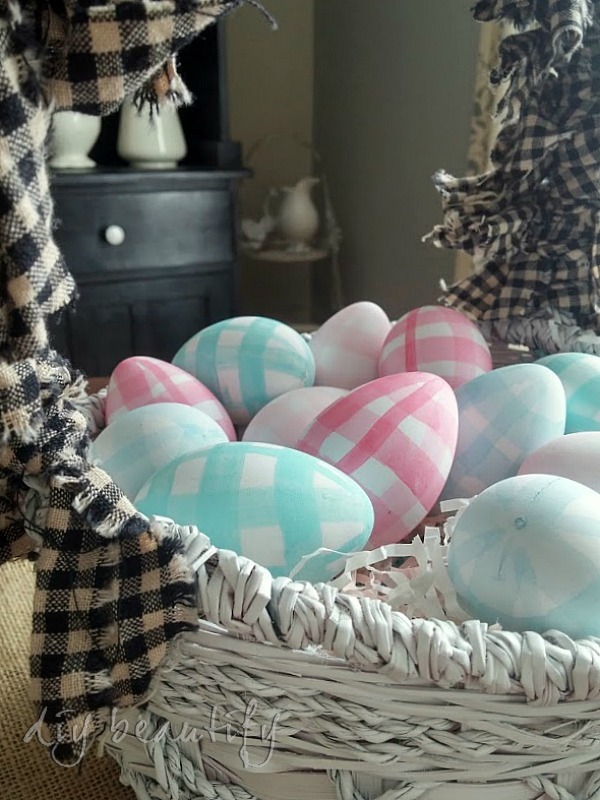 As a mom, I always enjoyed decorating eggs with my children, and have done it with my grandchildren as well. And who’s kidding? 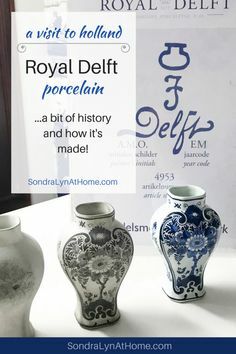 I’d probably decorate them even without kids in the house! 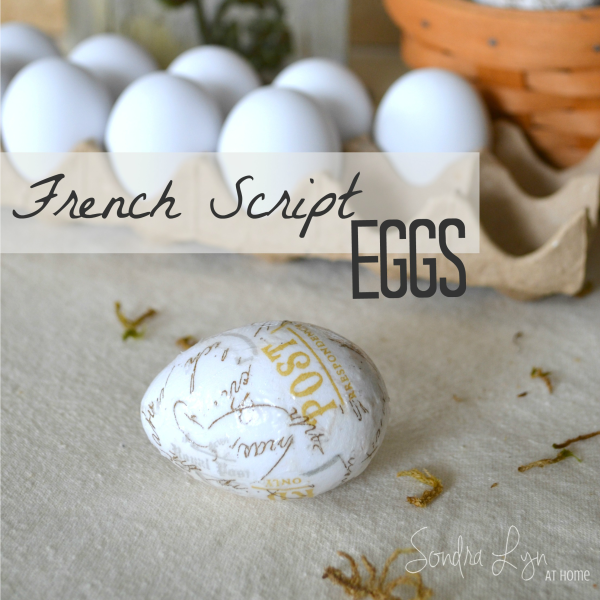 A while back I decorated these French Script eggs and I still love them! 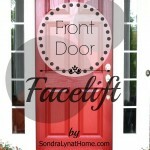 They are great for use all spring long. 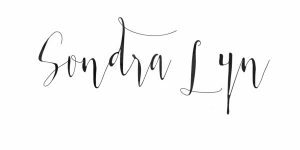 So in celebration of Spring and Easter, I rounded up some of my favorites from other blogs across the web! 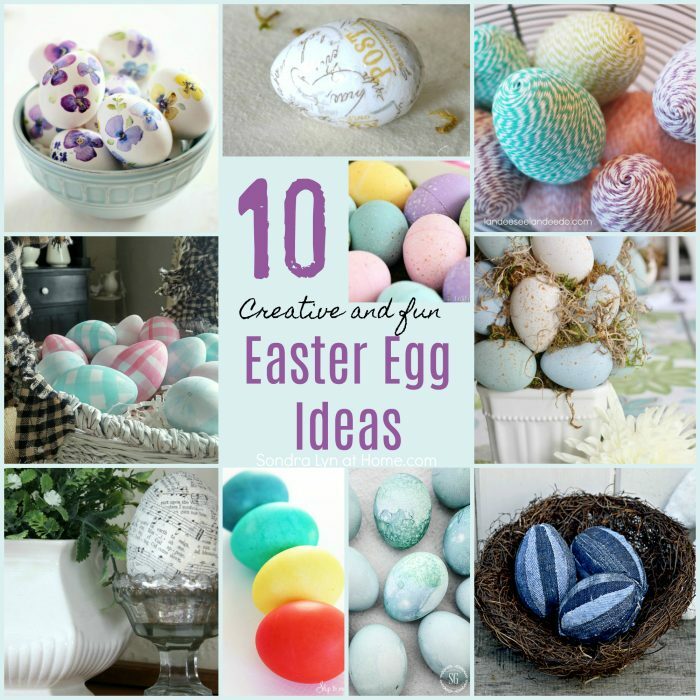 Let’s start with an idea from the amazing Lucy at Craftberry Bush! 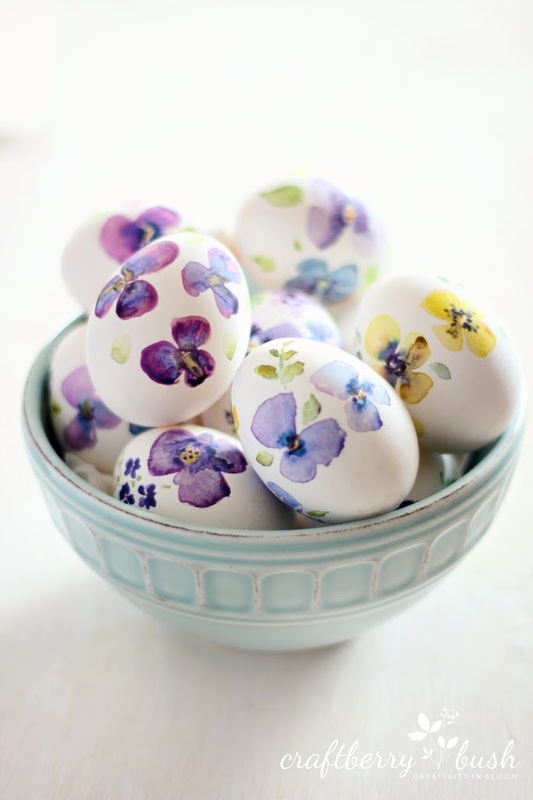 She has created the most exquisite watercolor painted eggs. 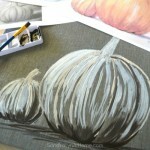 If you’re feeling especially creative, give these a try! 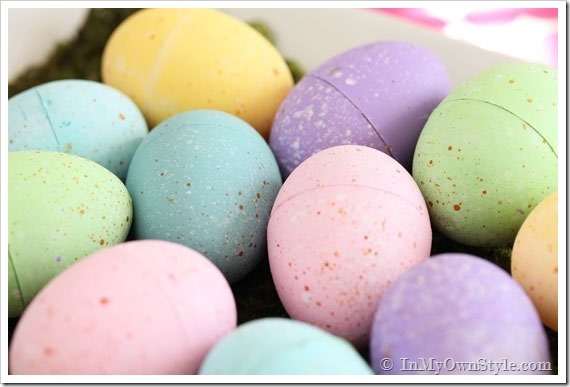 If you like using plastic eggs too, for hiding in the yard, or for putting little treats in, these are so cute! They give a little more up-scale look, while still being able to open them! 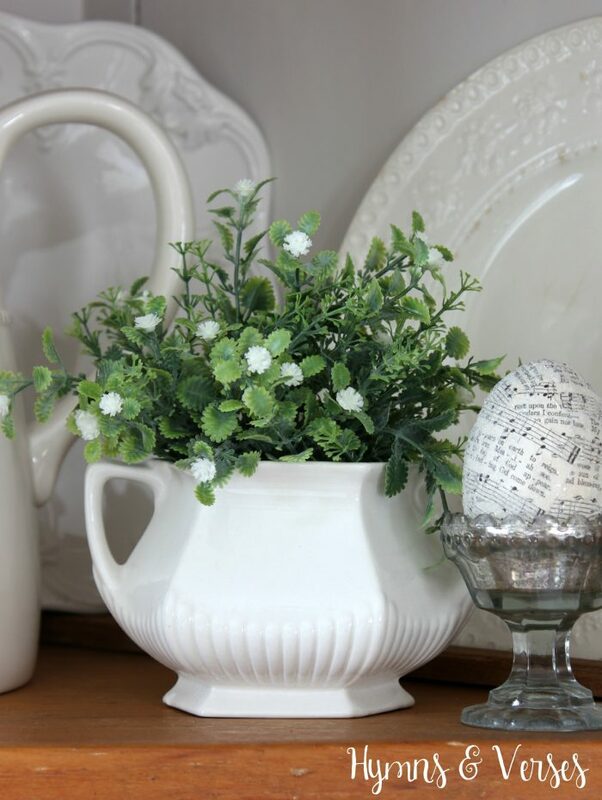 And Kim at Sand and Sisal shows how to take the chalk-painted egg a step further with a beautiful topiary for her table! 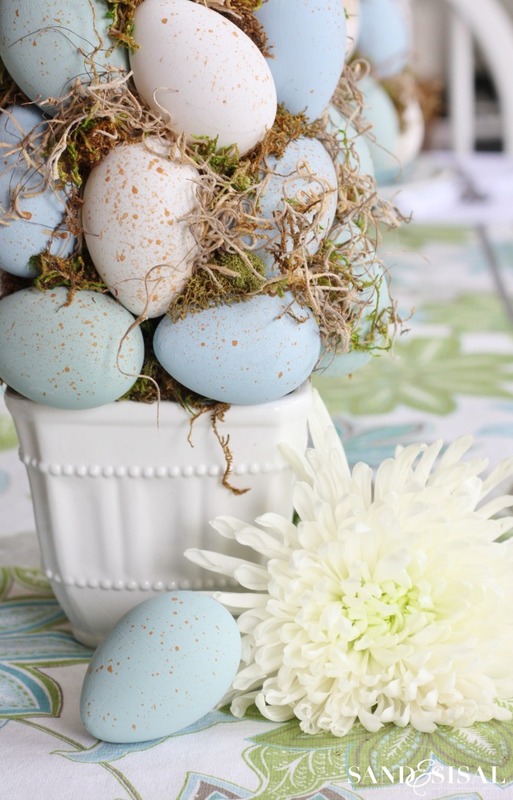 These Baker’s Twine Eggs remind me of my Twine Pears that I love so much!! 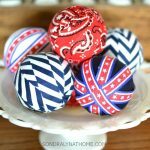 Similar to my French Script Eggs are these adorable sheet music eggs from my sweet friend Doreen at Hymns and Verses blog. 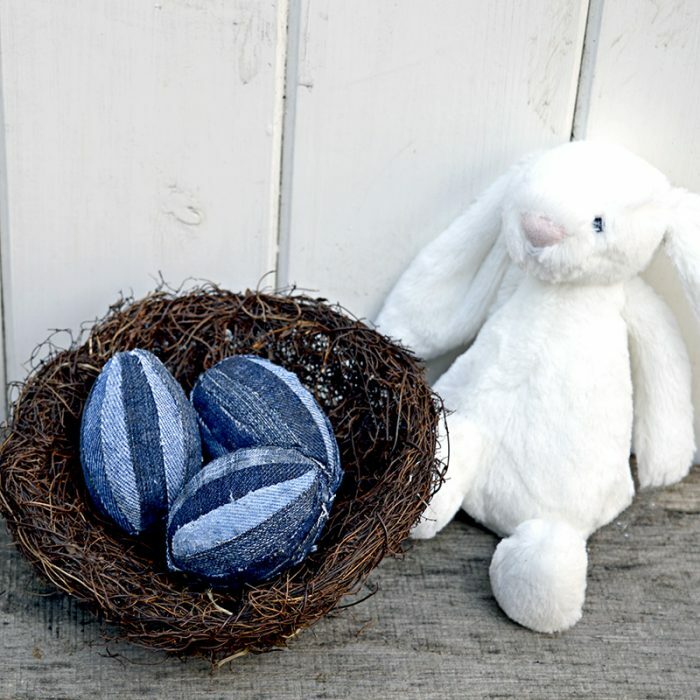 Here’s another egg with strips glued on… and these are denim! Isn’t this a creative use of old jeans?? I love them! 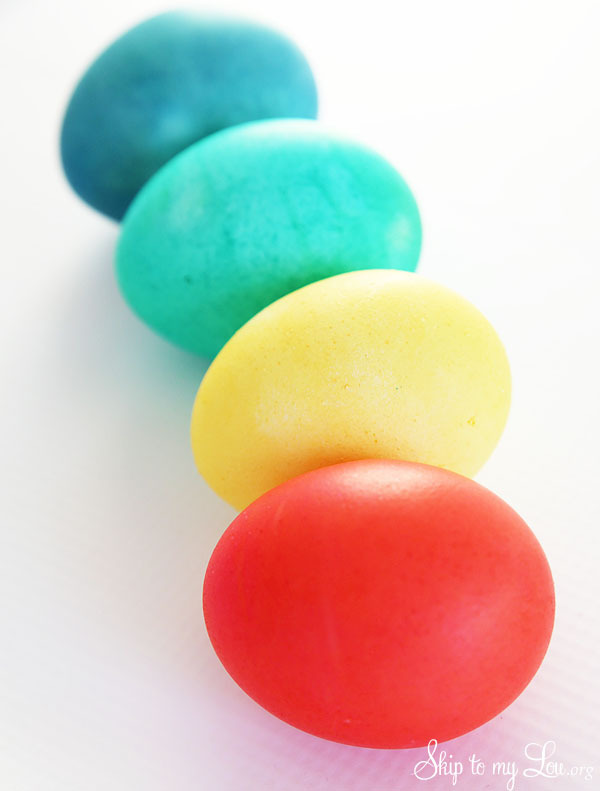 And of course, how could I leave out the tried-and-true food coloring method? 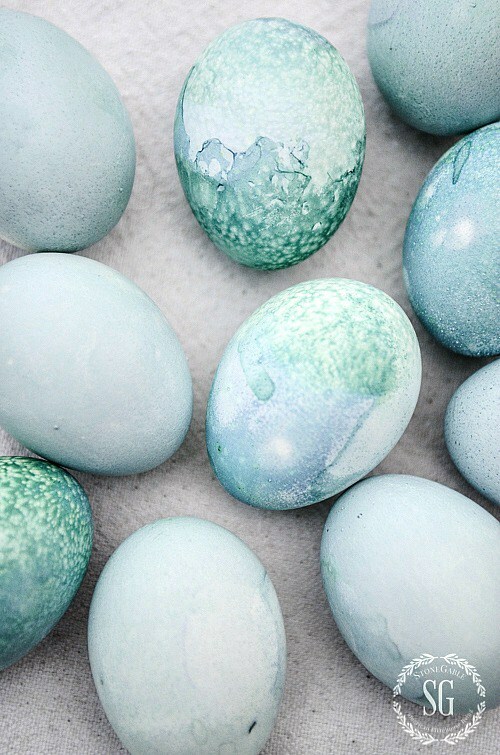 This is how we did it when I was a kid, before all those egg-dyeing kits were available. 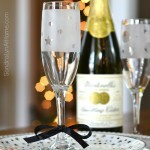 If you want to save a little money, these are every bit as vibrant… maybe even more so! 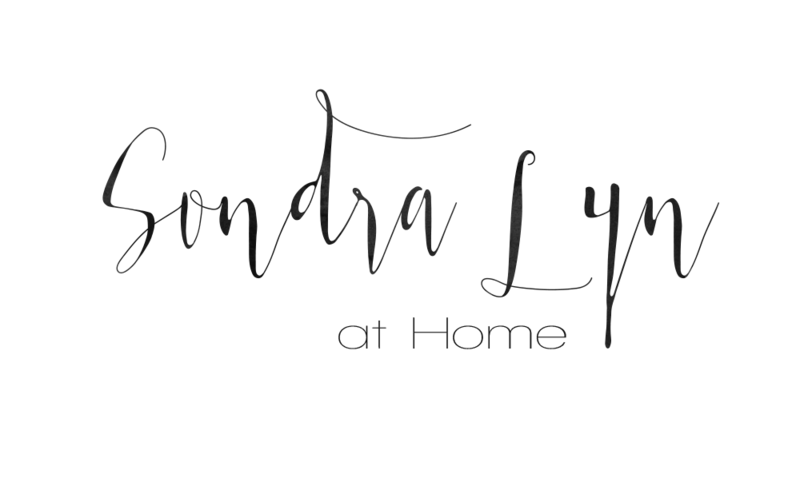 If you liked this post, I’d love it if you’d pin and share!! Have a great day, friends!